bswift commissioned Forrester Consulting to prepare this clip and The Total Economic Impact Case Study on bswift’s Benefits Administration Platform. Total economic impact is Forrester’s way of measuring the value of technology investments. So, you want to learn more about the Forrester TEI of bswift Benefits Administration Platform and how it can help organizations like yours with an online benefit administration system, and provide the tools that will save time and money, while offering more benefit choices to employees and their families? Well, you’re in the right place, and I’m the right person. Hi, my name is Leo, master TEI consultant and your guide for the next few minutes. High level results of the case study, based on a three-year model with risk adjustments, we found a return on investment of 113%, net present value of $149,208, and a 10-month payback period for a composite organization. Some of you are now asking, how? Well, it’s methodology, not magic. Results will vary based on the size of the company and other factors. Larger companies may see greater ROI. Forrester surveyed and interviewed bswift’s internal experts, our own Forrester analysts and subject matter experts in this technology space, and 34 bswift customers. We spoke to each group about the benefits, costs, risks and flexibility of bswift, and then quantified and articulated those components in a financial model and a case study, presented in terms of a composite company that combines attributes of the four interviewed bswift customer organizations. The 300-employee composite organization is shown to experience the same business challenges as studied participate companies; reducing HR and benefits administration workload, improving billing accuracy, meeting ACA reporting and compliance, and guiding employees through the benefits enrollment process. With that said, the customer organizations experienced at least four specific benefits. 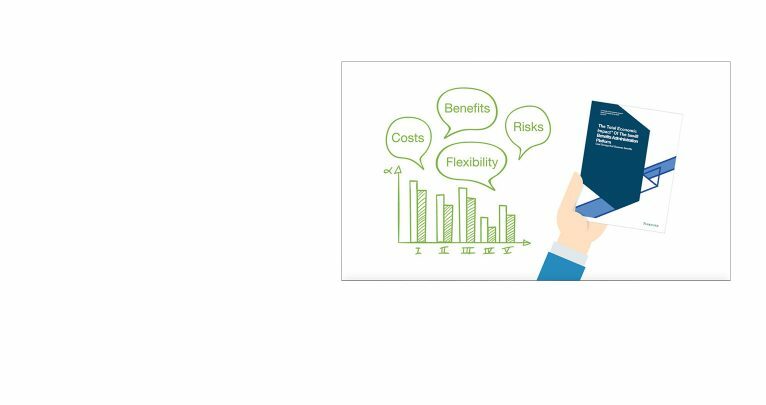 Reducing the workload on benefits administrators was the number one reason cited by customers for an organization to invest in bswift. For the composite, three FTEs can each save 20 hours per week by using bswift services. Tasks that are simplified include ACA tracking and reporting, billing and invoice correction, and tracking eligibility. Forrester conservatively estimates savings of over $42,000 per year, or $140 per employee per year for the composite company. That sums to $106,000 over three years in present value terms. bswift enables benefits administrators to match the roster of covered employees, and their dependents, and the coverages they elected, with the billing invoices from insurers. Overpayment is eliminated by identifying ineligible employees, ineligible dependents, tier and coverage discrepancies, and terminated employees. Forrester estimated savings of nearly $28,000 per year for the composite company, or $93 per employee per year. When employees have the choice of a high deductible plan, Ask Emma can guide the employee, or spouse/partner, through an explanation and scenario modeling that enables them to understand the plan features and determine the health and financial implication for them. The composite experienced a three-year risk adjusted present value total of $260 per employee. In preparing for open enrollment, bswift will save benefits administrators time that they previously needed for tasks such as developing enrollment forms and communications, collecting and entering data, and communicating with plan brokers and insurers. For the composite company, we assume that two benefits administrators will save 20 hours per week for 10 weeks, for savings of $93 per employee in present value terms over three years. On the cost side, it really consists of the services fee for bswift, which is paid to the channel partner, internal labor for set up and launch of bswift, an initial setup fee for professional services from the channel partner, and modest levels of internal labor for ongoing support of the bswift system. With all those factors considered and modeling over three years, the study found that the total value of benefits outweigh the total value of costs, resulting in an ROI of 113%, net present value of $149,208, nearly $500 per employee, and a payback period of 10 months, and that is the total economic impact of bswift Benefits Administration Platform. It’s been a pleasure telling you about the TEI of bswift Benefits Administration Platform. Please, read the details below this video to find a link to the full case study. If you have any questions, we urge you to reach out to a local bswift representative for further information.